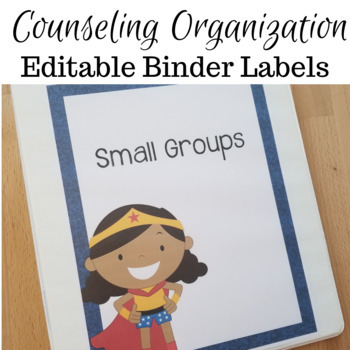 Organize your counseling or teaching materials with these cute and simple binder labels. Labels are editable and this product includes binder labels and matching spine labels. Spine labels available in sizes 1", 1.5", 2", and 3". You can download the preferred font Janda Safe and Sound for free here if you wish to use for the editable products.